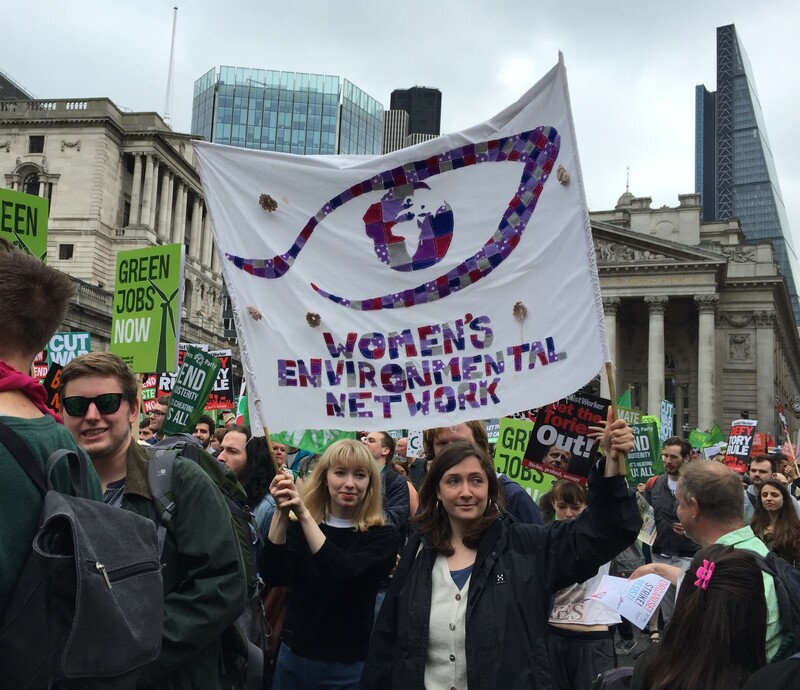 Women’s Environmental Network was founded in 1988 by women working within the environmental sector, who often saw that their perspectives were “completely overlooked”. They decided to form an organisation to champion these issues and make sure they got the attention they deserved. They also set out to expand the scope what was seen as an environmental issue. As Kate Metcalf (one of the three co-organisers of WEN) told me in our face-to-face interview, environmental issues can be “quite scientific, or can be thought of as only about trees rather than people”. WEN’s first campaign demonstrated the direct link between an environmental issue and people: they revealed the amounts of harmful bleach within women’s menstrual products.The campaign looked into the effects they have on our bodies, as well as on the environment, and how we can raise awareness of this. This female angle could be seen in a lot of the Network’s early campaigns on harmful chemicals in cleaning products, cosmetics and everyday toiletries.WEN was the organisation that campaigned to put the label in tampon packets about the dangers of toxic shock syndrome, which has reached thousands of women so far. Kate describes WEN’s greatest achievement as bringing a gendered analysis to environmental issues. They were the first organisation to champion green consumerism and create a link between eco-activism and consumerism, which has now become widely recognised as a distinct form of activism. WEN gives a voice to those women who want to make a change within the environment, but aren’t interested in party politics, or joining a march. They have given women the opportunity and tools to take personal action, seeing that this has a ripple effect, and can attract a wider audience. This can be seen in their community food growing project in Tower Hamlets, which is offering women the tools and knowledge to create something collectively as well as getting involved in a project on a community level. In 2007 they teamed up with the Women’s Institute and wrote The Women’s Manifesto on Climate Change, which “seemed quite radical at the time, as a lot of organisations just didn’t see the link”. It seems that there was a distinct lack of understanding within environmental organizations about the fundamental links between gender and the environment. Friends of the Earth have now declared that in order to address climate change, we have to tackle gender inequality, which shows that they’ve recognised this intersection, but there are still further steps to take to fully embed it in their work. Kate tells me that everyday democracy is at the heart of everything the group does. They believe in working in a participatory way, and understand that process is just as important as the final outcome. She says it’s about “nurturing new voices”, so as to create an even playing field where everyone’s voice can be heard, not just the outspoken or confident. This allows new voices to come through, which helps to give a well-rounded perspective which is extremely important in activism. Yet she knows that it can be quite slow work, and you “have to be in it for the long haul to invest in this grassroots work”. 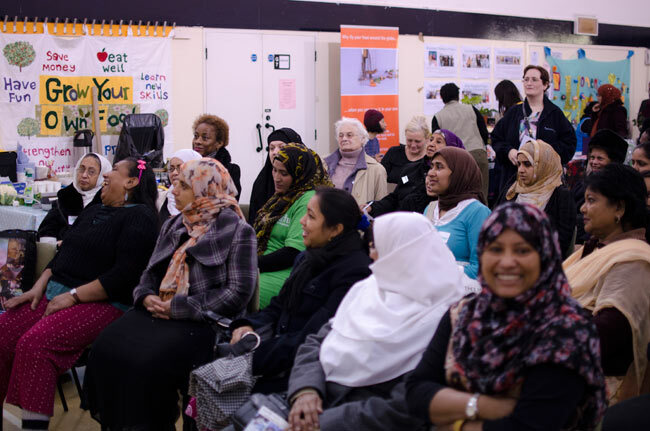 From the local work in Tower Hamlets, to coordinating and tapping into community networks and working in isolated estates so that people can go through training, WEN seeks to increase democracy through all of its work. 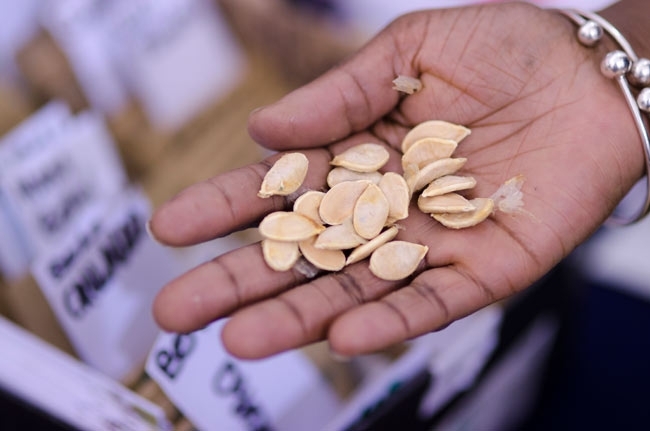 It may be a slow process, but it involves the community: individuals learning, or sharing their skills, and using them in their everyday life.The work of WEN is about valuing that, celebrating it, and boosting the confidence of communities. Along with this, WEN hold workshops where they share their policy work with the communities, as well as discussing international questions. For women, there are often specific barriers to becoming involved with environmental movements, such as child care, which could prevent a woman from actively demonstrating. This is why WEN goes to where people are, to the heart of the communities, to give people the equal opportunity to get involved. The organisation also have 360 degree appraisals, and a flat system of management – each person reports to one of their peers. Kate believes that communication is key in this approach, though one downside is that, in the case of disagreement, it takes longer to find a solution. She explains that other organisations that have a flat structure have discovered that it tends to work best with a smaller team. As an organisation grows, the flat structure can become more difficult. The benefit of a flat leadership model is the idea that anyone can be a leader- not only from their team at WEN, but as a leader within the community. This might be someone whose voice may be quieter than others, but whose say and opinion matters just as much – they can even make better leaders. This model increases the power of all those involved – from volunteers who can then help make the decisions, right up to individuals who have been involved for many years. Each colleague has different strengths and weaknesses, and this model really allows strengths to come out, and weaknesses to be compensated for by someone else’s strengths. Feedback from volunteers about this approach has been nothing but positive – they feel included and immersed in everything, which gives them the energy, the experience and transferable skills to take into other aspects of life as well. In terms of motivation, the flat model works for WEN as they all genuinely believe in the organisation. It’s their passion for the campaign which keeps it going. It’s not about climbing the hierarchical ladder to make more money, and gain more power; it’s about shared belief in an end goal of which they all want to see – the voices of women to be heard within the environmental movement. When asked what the most pressing environmental issue of today is, Kate said it was difficult to answer, but climate change is without doubt the most challenging globally. It’s not seen as a political priority, which is “unbelievable given the potential problem nationally, and internationally”. She says it needs to be more relatable to people’s lives in order to see the change; if people don’t engage with the issue, they’re not going to get involved with the solutions. From their perspective, tackling gender and equality is the biggest challenge globally. “There’s not one country in the world where there isn’t gender inequality, something which is further linked to climate change solutions – but it’s making people aware of that too”. That means that democratic participation is also important to these solutions. Kate also discussed the importance of environmental groups, as a lot of people don’t necessarily relate or feel they want to be involved in partisan politics, but NGOs enables people to back a cause which they believe in, and empower a group which can go forward and tackle the issues for them, without a huge amount of participatory action. This is a form of grassroots democratic engagement,, but not through political parties, but rather groups which meet their needs. Some NGOs have memberships which are much bigger than that of political parties, so it will be interesting to see in the future how this version of democracy develops alongside party politics.